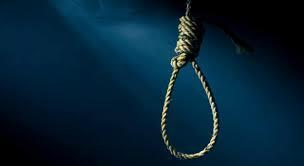 A 44 year old man from Bulawayo committed suicide following disputes with family members on his failure to secure a job and provide for the family. Living in a home where Never Ndiweni was unwanted by his own family, the thought of taking his life was the only way out of his misery. Ndiweni was found hanging from a tree near McDonalds Hall in Emzilikazi just a few kilometres away from his home. ZBC News spoke to some of the residents at the scene who said the circumstances leading to his death was a family crisis which has been haunting him for a long time and this could have led to stress due to unemployment and financial problems. It is however, not the first time that Ndiweni attempted to take his own life as he tried to kill himself twice. At one time he tried to hang himself and on another consumed poison but was only successful on the third trial were he hanged himself to death.